Some traditional fantasy wizards learn their art as apprentices to archmages, others attend formal academies, and still others are guided by philosophies rather than teachers. This influences what spells and tricks of the trade the magic-user learns, and what guild, brotherhood, or order he eventually joins. Two equally talented mages might master specialties so different that they have little more in common with each other than with non-wizardly spellcasters such as clerics and shamans. 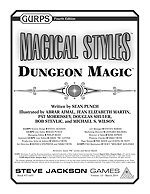 This supplement builds off the core of GURPS Thaumatology: Magical Styles. 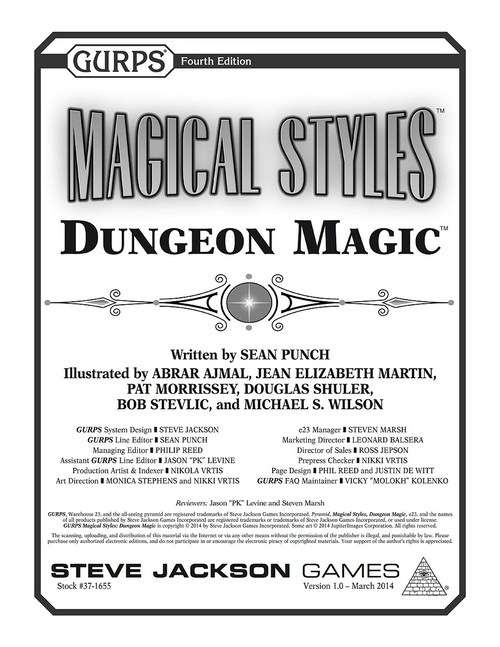 Get more styles, options, and insights into making your own magical schools! These seven sorcerous societies would make perfect allies or adversaries for a GURPS Dungeon Fantasy campaign.